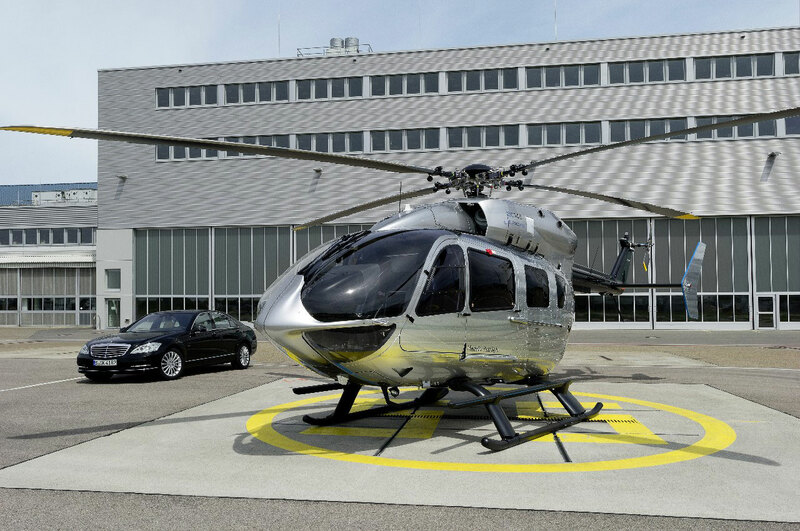 If you’re looking to soar above the skyline and take that Benz luxury with you, the German automaker’s design studio has partnered with Eurocopter for this unique whirly-bird. 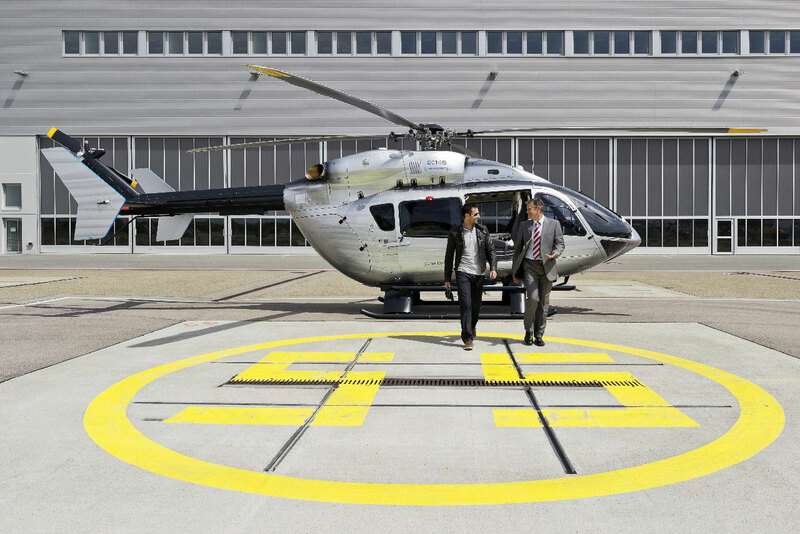 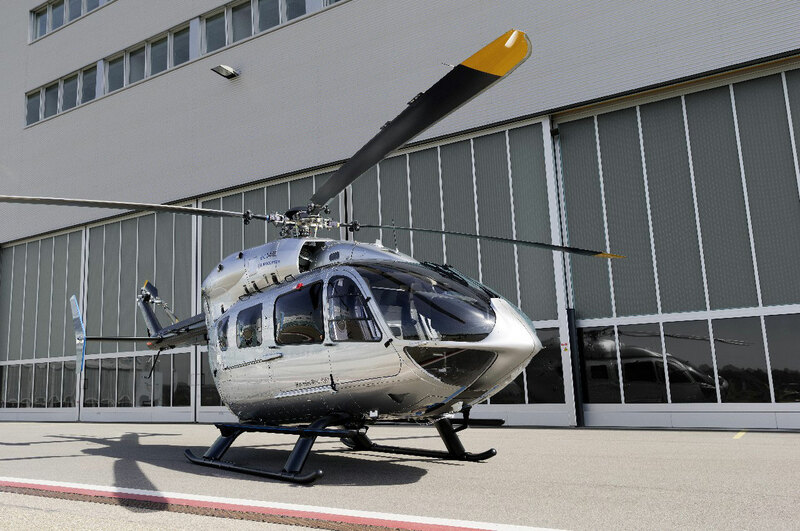 A year on from the first unveiling of the EC145 Mercedes-Benz Style Eurocopter concept at last year’s European Business Aviation Convention & Exhibition (EBACE) in Geneva, Eurocopter has shown the first finished aircraft at EBACE 2011. 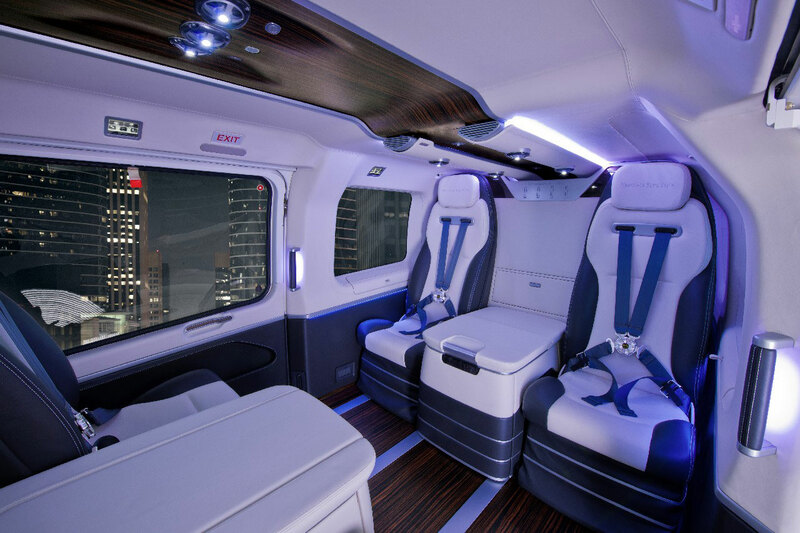 Created in the Mercedes-Benz Advanced Design Studio in Como, Italy, it features an interior enabled by a modular approach. 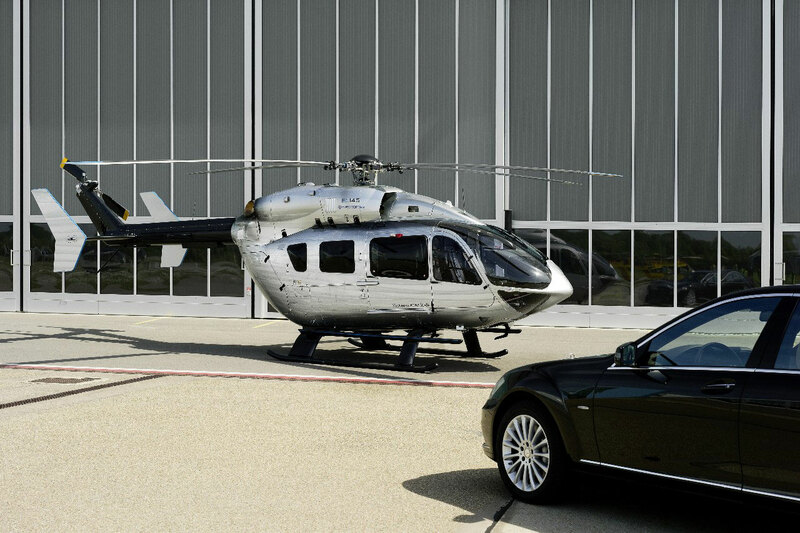 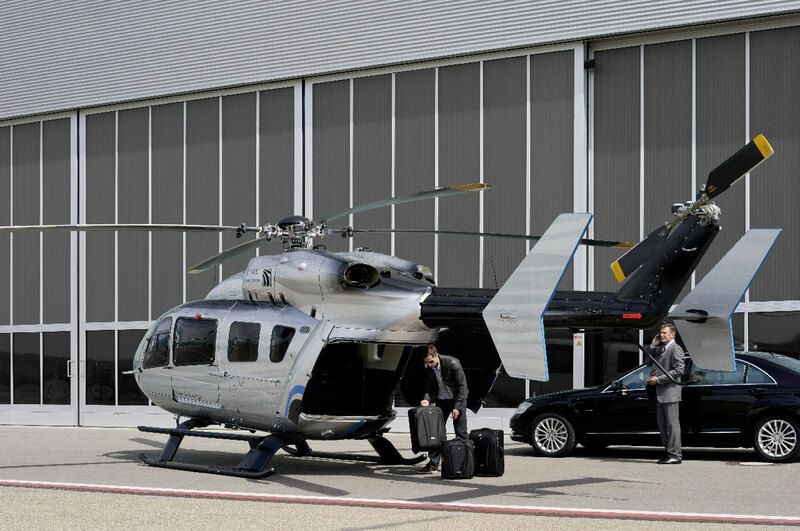 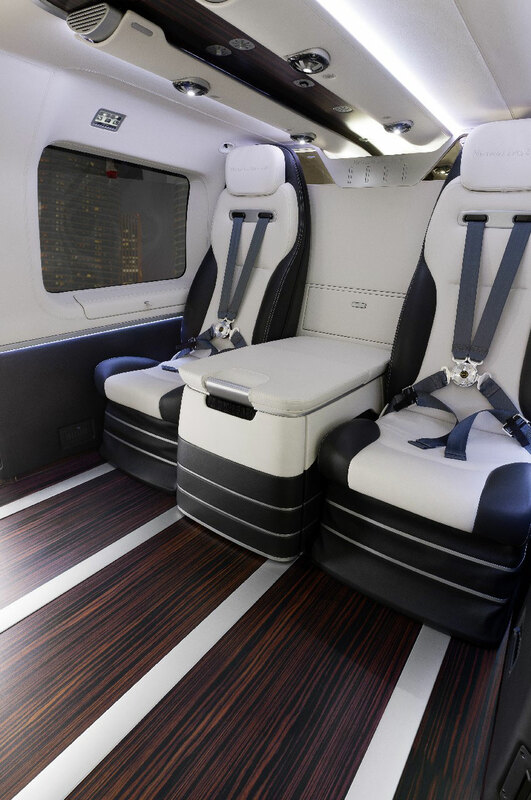 Inspired by the automaker’s luxury-class saloons Benz-style EC145 offers top-shelf materials, wood paneling and spacious multi-function boxes with various equipment options. 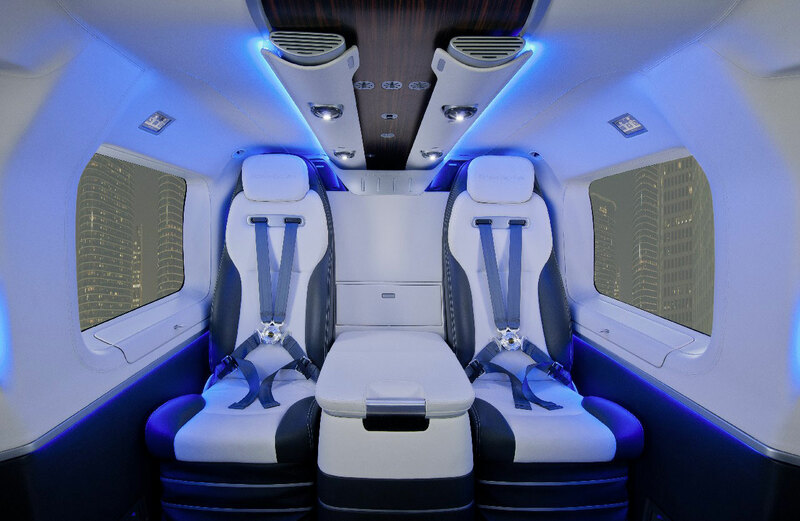 There’s also ambient cabin lighting that can be adjusted to a number of different color and brightness settings like that found in the S and E-Class to ensure the sensitive traveler doesn’t receive a shock to their system when transferring from their car to the helicopter. 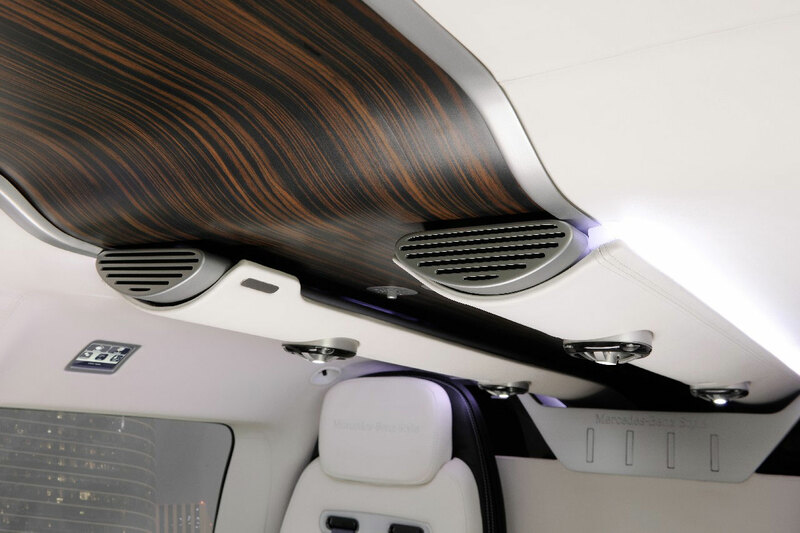 The alterations are not limited to only visual cues, however. Inspired by the modular interior of its R-Class, the seating on EC145 Mercedes-Benz Style are mounted on rails. 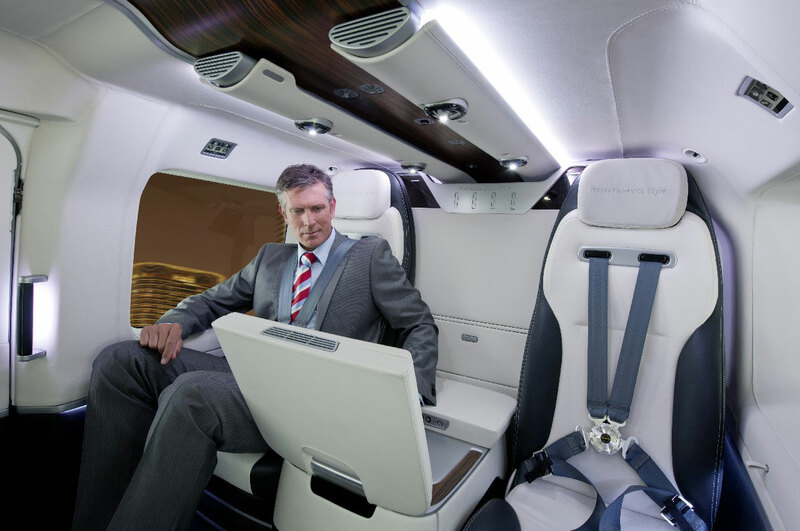 The interior arrangements can be configure accordingly to the needs, from supple space for all 8 passengers to multi-function boxes with cooler, table, or a 15-inch monitor with DVD player. 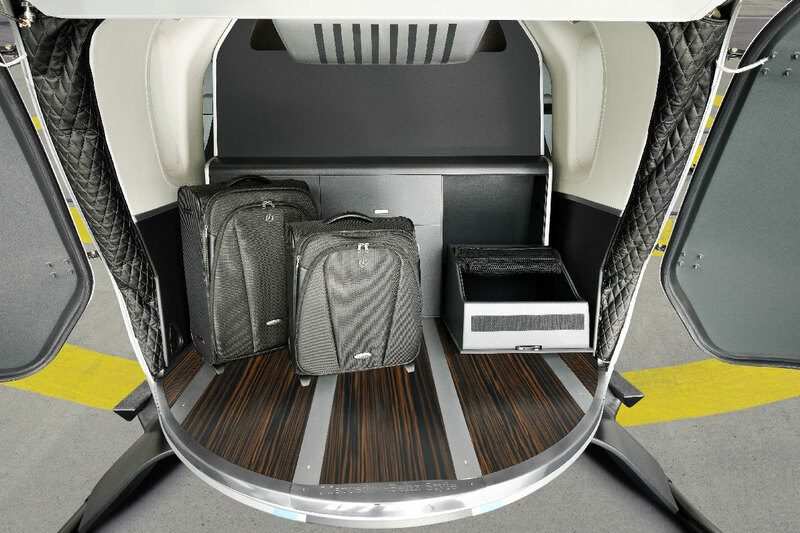 Meant for both business function and personal usage, the storage section near the tail rotor can accommodate luggage sets, golf clubs, even mountain bikes and surf boards. 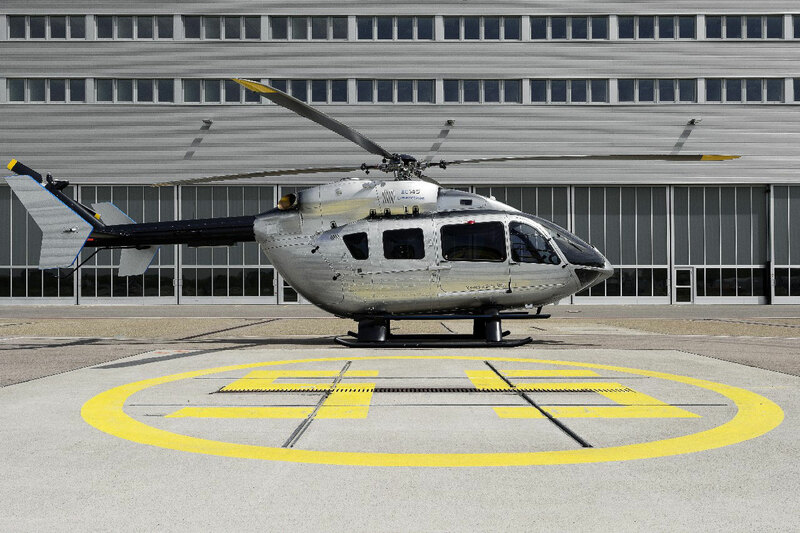 The EC145 is the perfect match for Mercedes-Benz Style, as this turbine-powered aircraft is at the top of its class in the medium-sized, twin-engine helicopter category. 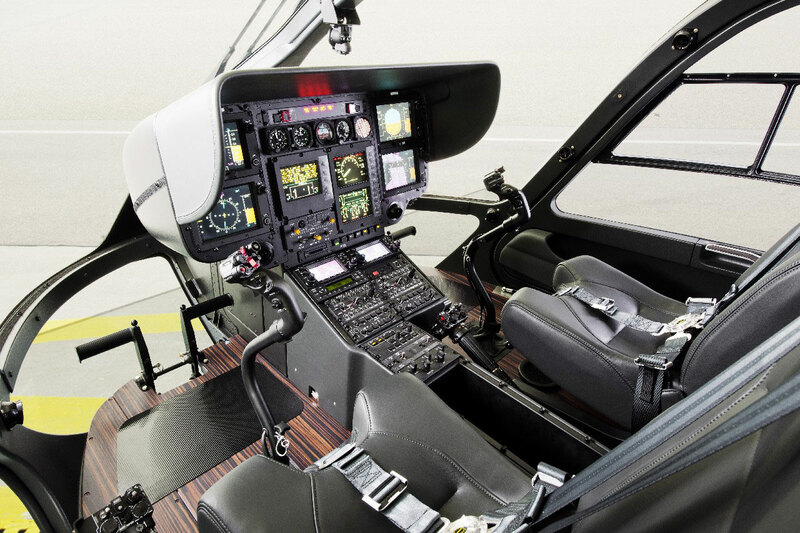 It combines Eurocopter’s leading-edge developments in cockpit design and avionics, while also incorporating a hingeless rotor system and enhanced rotor blades that reduce sound and vibration levels. 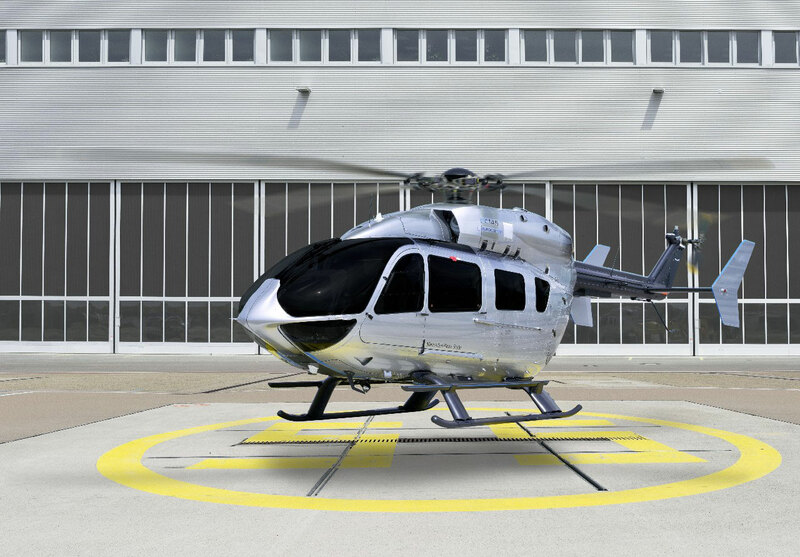 The EC145 is the first initiative of Mercedes-Benz Style, the automaker’s product-design division, who we expect will be rolling out a number of licensed designs over the course of the coming years.